The agency of artists in exile invites you to the inauguration of its space dedicated to the accompaniment of artists in exile on French territory, on 22 September from 6 pm to 9 pm at 102 rue des Poissonniers 75018 Paris (metro Marcadet Poissonniers). Together with many artists in exile, the aa-e will present their missions and will unveil the programme of its multidisciplinary festival “Visions d’exil” from 10 to 18 November 2017, at the Palais de la porte dorée. 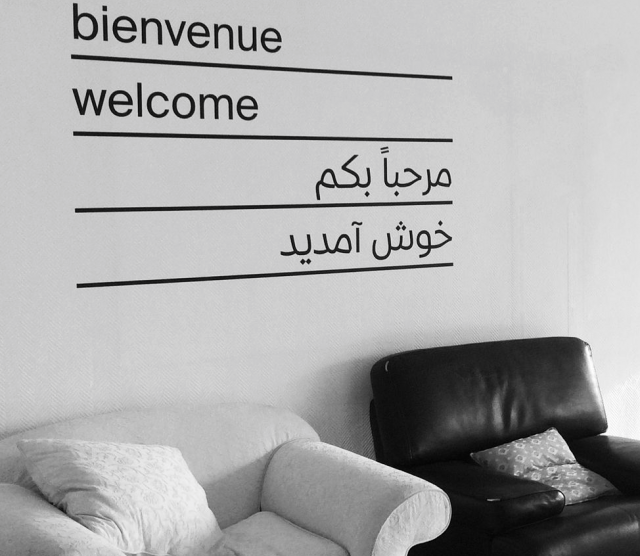 The agency of artists in exile proposes to identify artists in exile from all origins and all disciplines, to accompany them according to their situation and their needs, to offer them workspaces and to put them in contact with professionals (French and European network), in order to give them the means to practice and restructure themselves.